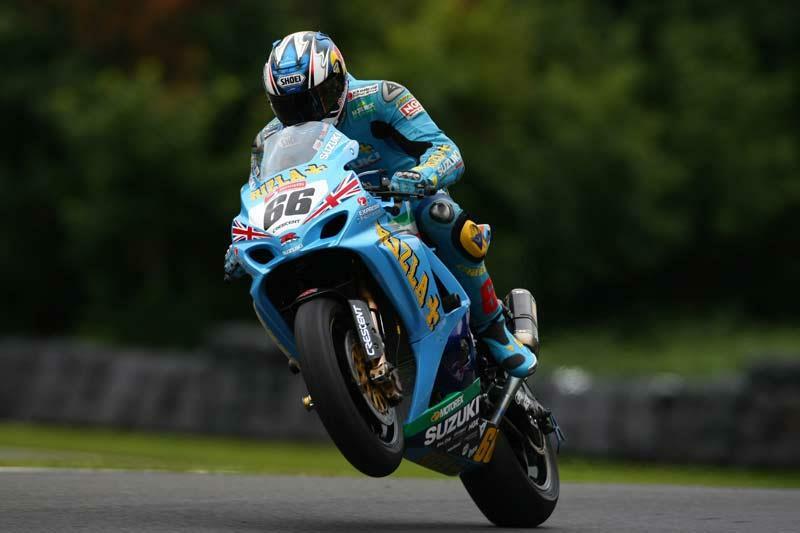 Tom Sykes has taken his first win on the Rizla Suzuki after putting in a strong performance in the first British Superbike race at Oulton Park. Sykes initially got the whole-shot but was pushed back to second by James Ellison before the end of the first lap. By lap 11 he had worked his way back past Ellison and took advantage of a mistake by Cal Crutchlow to take first and run with it of in to the distance. Shane Byrne had a bad start, taking seventh off the line, but he worked his way through the pack to catch up with Ellison on the last lap. He didn't have enough time to get pas though and had to settle for third. On his way up to the front Byrne had a coming together with Karl Harris that saw Harris out of the race. Harris ran wide and Byrne tried to cut up the inside but Harris closed the gap and ploughed in to the side of the Ducati, sending himself sliding down the track. The incident is now under investigation. Cal Crutchlow was running very well and had taken first place by lap eight but he crashed out of the lead on lap 11. He restarted in eighth and only managed to work back up to sixth by the flag.